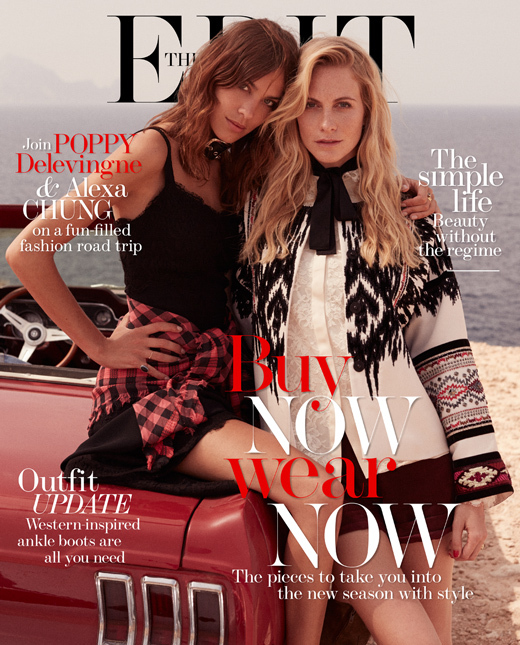 British pals ,Poppy Delevingne and Alexa Chung covers the latest issue of online magazine, The Edit. Although the girls have known each other for 10 years and both of them are UK’s hottest IT girls, it is the first time they share a cover of a magazine and Poppy writes for The Edit the story of their friendship. ‘You get so much more out of life by being supportive and having loving friends who are there for you. Good friendship can make your heart light; it can make you feel giddy; it can make you feel like when you fall in love. When you’re with a good group of girls, they do something for you that a boy can’t.’ says Poppy and we couldn’t agree more!